Originally listed for 2.295.000 ? 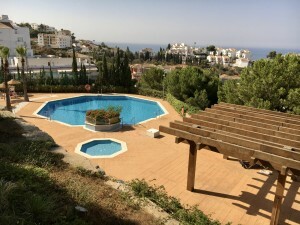 recently reduced to 1.995.000 ?, spectacular villa nestled up in the hills of the very quaint white washed village of Mijas Pueblo. 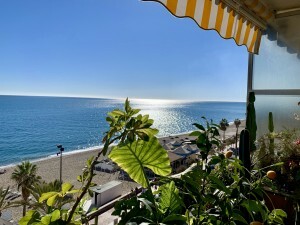 Beautifully positioned on the highest plot on the outskirts of the village benefiting from breath-taking panoramic views of the entire Coastline, mountain ranges and the glistening Mediterranean Sea as far as the Rock of Gibraltar and the Atlas Mountains of Africa. This Castle influenced house offers 5 double bedroom, 5 bathrooms an additional upstairs cloakroom and also a 1 bedroom casita with full bathroom and kitchenette The main house offers an open plan lounge dining area complete with a feature central 360 deg fireplace with copper chimney. The mature grounds are beautifully manicured and boasts mature palm trees, raised flower beds, luscious terraced fruit gardens including oranges, lemons, grapefruits, peaches, figs, grapes and almond tree. There is a stylish thatched Gazebo at the other end of the garden complete with BBQ house and outdoor kitchen. The villa also enjoys a beautiful feature large heated automatic Salt System Pool. 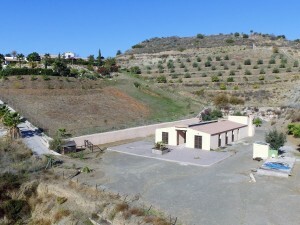 This very unique gem offers peace and tranquility set in a fabulous location making it the ideal family home. A must see.